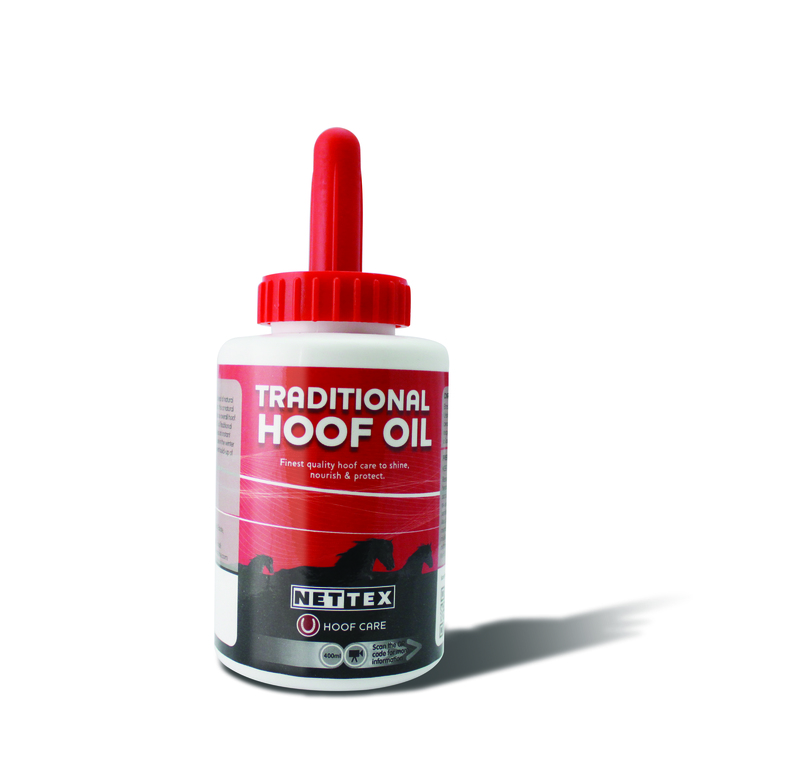 Nettex Traditional Hoof Oil gives an immediate show ring shine to your horse's hooves. It is a non-spirit oil that nourishes & gives protection, yet still allows hooves to breathe. It also benefits from the addition of antibacterial agents. It can be applied as & when needed or every day. Apply generously to the hoof wall, avoiding the coronary band. An applicator hoof brush is included in the 400ml bottle.